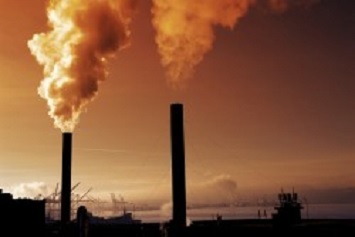 The EPA is proposing minor amendments to its National Emission Standards for Hazardous Air Pollutants (NESHAP) for the hydrochloric acid (HCl) production source category. Required under Section 112 of the Clean Air Act, the Agency’s residual risk and technology review (RTR) would find, first, that the 2003 NESHAP for the source category is protective of public health and sufficient to prevent an adverse environmental effect, both with an ample margin of safety, and second, that there have been no developments in processes, practices, or controls for HCl production facilities that would provide a basis to amend the existing NESHAP. As a result of the RTR, the proposal would only amend the NESHAP’s startup, shutdown, and malfunction (SSM) exemption from requirements. Elimination of the exemption was ordered by the U.S. Court of Appeals for the D.C. Circuit in 2008 (Sierra Club v. EPA). Removal of the exemption—meaning that the NESHAP emission limits apply at all times, including during SSM—affects other provisions of the rule, which, accordingly, the EPA is also proposing to revise. In addition, the proposal would require electronic reporting of performance test results. The proposal would cover 19 facilities that are engaged in the production of HCl. These include facilities that produce HCl via any of four methods—as a by-product in the manufacture of organic chemicals; through direct reaction of salts and sulfuric acid (Mannheim process); through reaction of salt, sulfur dioxide, oxygen, and water (Hargreaves process); or through burning chlorine (Cl2) in the presence of hydrogen gas. Also, on September 18, 2001, the EPA combined the fume silica production source category with the HCl production source category. While developing the NESHAP for HCl production, the EPA found that hazardous air pollutant (HAP) emissions from fume silica production were attributable to HCl production at these facilities. But the Agency cautions that this does not mean that individuals exposed to emissions from HCl production facilities do not face cancer risks. Facilities that manufacture HCl typically also produce other chemicals. For example, the Agency notes that ethylene oxide and trichloroethylene may also be manufactured at the facilities. Exposure to ethylene oxide has been found to significantly contribute to potential elevated cancer risks in some census tracts across the United States. The Agency says it intends to gather more information about the hazards of exposure to ethylene oxide and will decide whether regulatory action is necessary to control the risks. The EPA states that it did not identify any developments in processes, practices, or controls for HCl production facilities during analysis for the proposal. HCl production facilities use scrubbers to control emissions of HCl and Cl2. The proposed elimination of the SSM exemption would have a downstream effect on requirements associated with the exemption. For example, under the proposal, facilities would no longer be subject to a General Duty Clause that requires them to “minimize emissions” during periods of SSM. Instead, the facilities would be required to continuously comply with the NESHAP emission standards, including during SSM. Related provisions that would be also be affected address the SSM plan, performance testing, monitoring, recordkeeping, and reporting. Compliance with the proposed amendments would be required 180 days after the effective date of the final rule. The EPA’s proposal was published in the February 4, 2019, Federal Register (FR).